2 x 22 W stereo BTL differential amplifier with speaker protection and dynamic distortion detector. 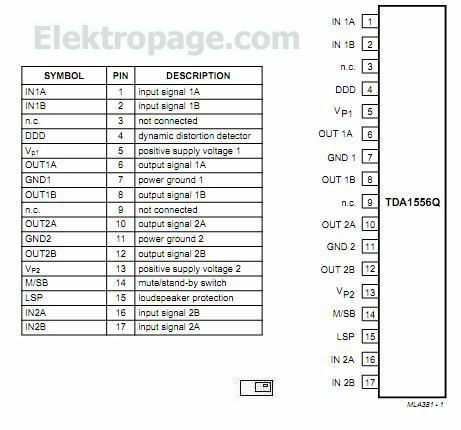 TDA1556Q is a monolithic integrated class-B output amplifier containing two 22 Watt amplifiers in a BTL configuration. The device is contained in a 17-lead single-in-line (SIL) plastic power package. It has two differential inputs and is primarily intended for car booster applications.